As degrees go, the MBA is a generalist degree; the education is far broader than it is deep. Most MBA programs require a wide variety of core courses, covering everything from financial analysis and decision-making to operations management, marketing, and strategy. While a two-year program couldn’t possibly turn its graduates into experts in all of these areas, most programs do require their students to select an area of concentration in which they build expertise through coursework and assignments. 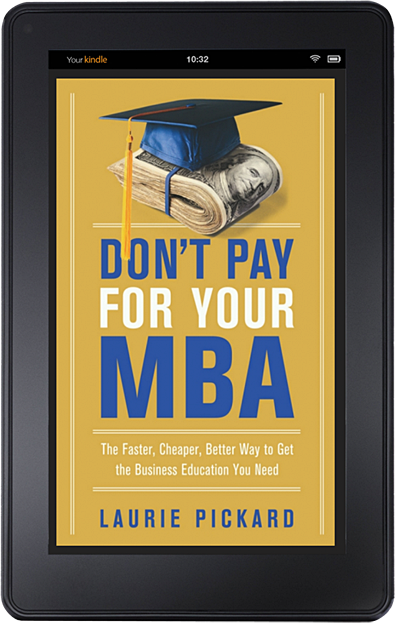 When I started my No-Pay MBA, I didn’t have a concentration in mind. Like many first-year MBA students, I went into the program with an open mind and a goal of getting a strong foundation of key business skills and concepts. In order to cover the topic of entrepreneurship, one of the courses I took early in my business education was Steve Blank’s How to Build a Startup, from Udacity. From the first video lecture, I was hooked. Here was a way of thinking, solving problems, and helping people that was completely new to me - and totally captivating. Over the subsequent year, I developed an almost unintentional concentration in entrepreneurship; every time I become aware of an entrepreneurship course, I couldn’t help but register for it. 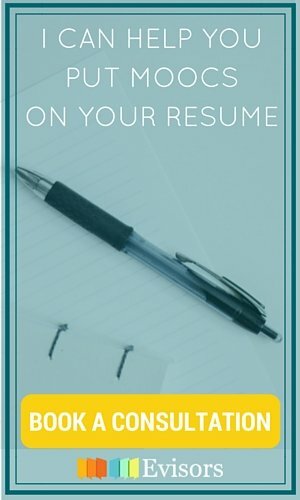 I’ve taken courses on entrepreneurship in subsistence economies; a course called Beyond Silicon Valley: Entrepreneurship in Transitioning Economies; and I’m currently dual-enrolled in my fourth and fifth entrepreneurship courses – Entrepreneurship 101 and 102 from MIT’s Sloan School of Business. 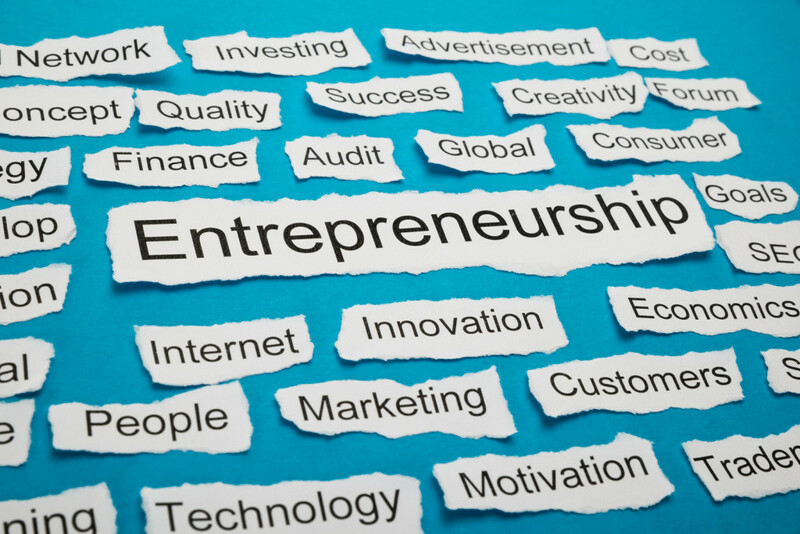 My MBA concentration is in entrepreneurship. 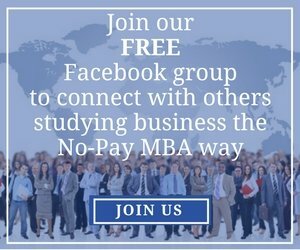 If you join me in this project, I’ll provide plenty of recommendations on how to put together your own No-Pay MBA, including choosing and building a concentration. For those who are already studying business via MOOC, here are a few tips on how to fit a concentration into a MOOC-based MBA equivalent. 1. When starting your MBA studies, take a variety of courses. One of the great advantages of MOOC-based education is the low cost of changing your mind. Take full advantage of that freedom by not nailing down your entire course of study too early on. Whether you’ve budgeted 18 months or three years to finish your studies, the time to choose a concentration is in the second half of your program. It’s clear to me now that entrepreneurship is the right concentration for me, but I couldn’t have told you that at the outset of my studies; it was a process of discovery. 2. Aim to complete at least 4 courses in your concentration, preferably 5 or more. This may require some creativity and some timing, as not all courses are available at all times. For some fields of study you may need to look outside of the major MOOC platforms to find the content you need. 3. 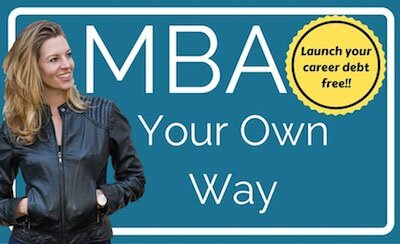 Don’t limit yourself to the traditional MBA concentration areas. Another great benefit of studying via MOOC is that you get to have full control over your curriculum. Traditional MBA programs offer a wide variety of concentrations to students. Some of the more common concentrations include corporate finance, marketing, strategy consulting, general management, and entrepreneurship. But no matter how many options a traditional MBA program gives you in terms of concentration, your MOOC-based program can be even more tailored, personal, and specific than even the most flexible of the traditional MBA programs. Choose a concentration that matches your career aspirations. 4. Do at least one real-world project - preferably more – that directly relates to your area of concentration and puts your skills to work. Even before I knew I would be concentrating on entrepreneurship, I did a digital internship for a startup called Coursolve. I worked with the company to develop their strategy for entry into a new market. My current real-world project - building my own business - is also in part a learning experience related to my concentration. The important thing is to get hands-on experience. Whatever you learn in the classroom, it’s how you are able to take that knowledge out into the real world that will determine the true value of your education.